Located on the Bikaner – Jaipur Highway, Heritage resort is a luxury hotel that offers comfortable staying facilities to tourists, business travelers and families. 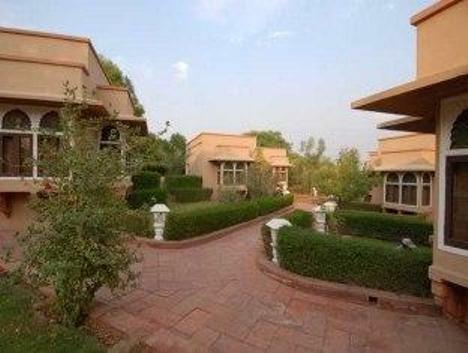 The resort is located 9 kilometers from Bikaner and is set in scenic green surroundings that give it a unique identity among many others city hotels. The picturesque beauty around the resort helps patrons to relax and unwind while connecting with nature and themselves. Heritage resort has 50 air conditioned deluxe rooms that are designed very tastefully and equipped with all necessary amenities to take care of each and every need of clients. The in house restaurant and bar takes care of the culinary needs of clients, giving them a chance to savor different flavors of Rajasthani cuisine. 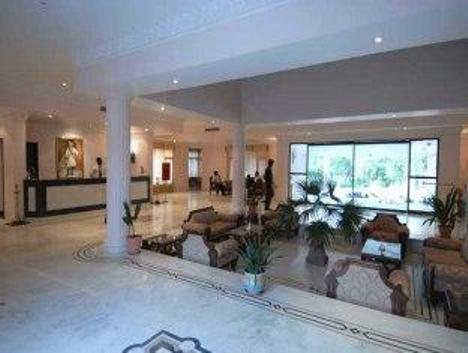 On facilities front, the hotel has developed several facilities and features to cater to any request of guests. These include travel desk, outdoor swimming pool, recreational center with indoor games, same day laundry service, doctor on call service, foreign currency exchange facility, travel assistance and taxi or car rental service. Another stand out point of Heritage resort is the four hole putting green that will please patrons who love golf. In addition to this, there is an Ayurvedic Massage center that is run by trained professional which offers tailor made treatments to help guests rejuvenate themselves, both mentally and physically. Patrons can also avail advanced conferencing facilities at the hotel to host business and social events. On special request from guests, the hotel also organizes live musical performances, folk dance performances, puppet shows, camel and jeep safaris. 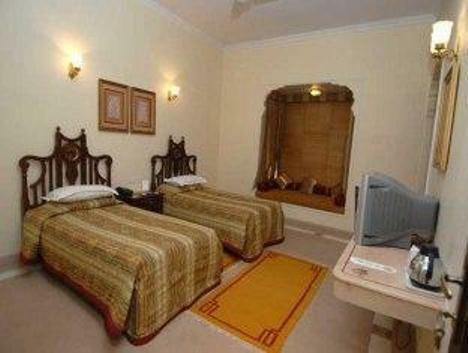 Enjoy luxury, comfort and peace of mind by choosing to stay at the Deluxe rooms offered at the Heritage Resort, Bikaner. These rooms are designed by combining the classic architectural elements of Rajasthan with contemporary décor traits to give it a very plush and lavish feel and appeal. Moreover, the rooms are equipped with premium in amenities, services and features to cater to each and every need of clients. The amenities include direct dial telephone lines, cushioned chairs, cupboard or wardrobe, glass windows, color television with premium channels, miniature paintings that enhance the aesthetic appeal of the rooms. Another stand out point of these rooms is the private bathroom that has 24 hour hot and cold running water facility along with superior fittings. 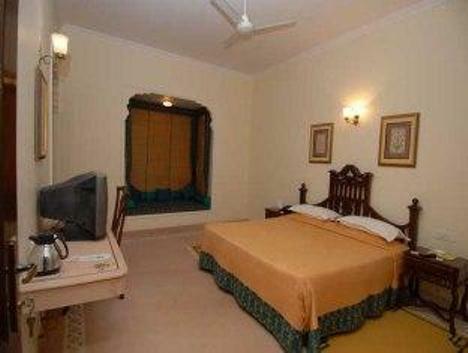 The luxurious amenities and scenic surroundings make these Deluxe rooms an ideal choice for tourists traveling to the city of Bikaner. 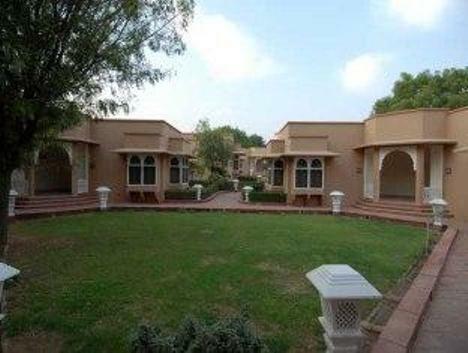 In Heritage Resort, Bikaner there is 36 luxurious rooms. 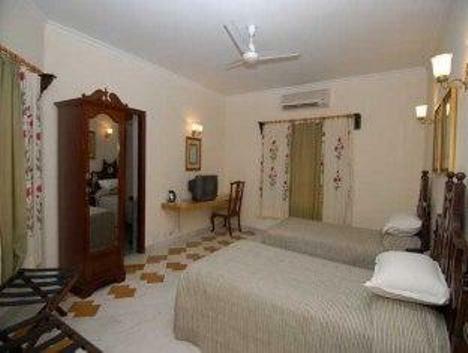 Among them there are 26 Double bedded rooms and 10 single bedded rooms. 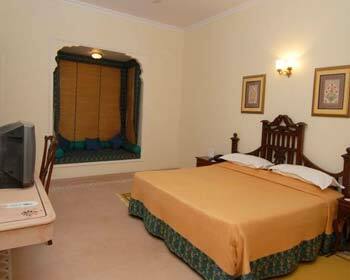 Along with the comfortable staying facilities these rooms offer wonderful view of the Bikaner. 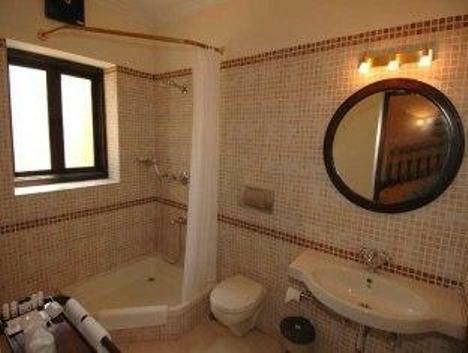 In the tastefully decorated rooms you can find attached bathroom, wardrobe, satellite TV, telephone with STD/ISD, room service etc. 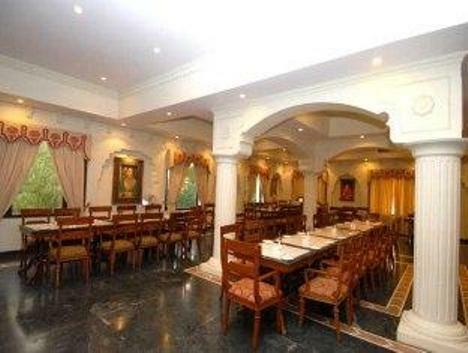 Satisfy the foodie in you by visiting the in house restaurant at the Heritage Resort, Bikaner. The restaurant is located within the premises of the hotel and gives guests a chance to indulge their taste buds in delicious delicacies. The restaurant serves authentic local cuisines along with Indian, Continental and several popular dishes from global cuisines. Patrons are welcome to try the local dishes that are prepared as per the ethnic recipes using rare spices and herbs that impart unmatched flavor and aroma to the preparations. The relaxed ambience and mouthwatering dishes make this restaurant very popular among local and foreign guests. To keep patrons in the right spirits, the Heritage Hotel has developed an in house bar that is well stocked with popular spirits from across the globe. 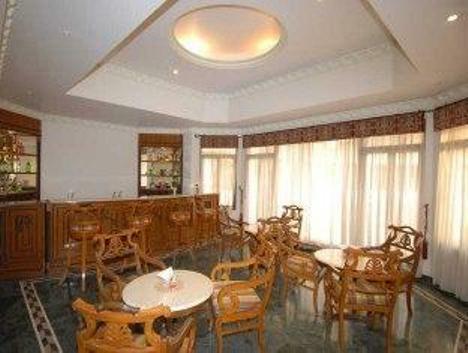 The bar serves popular brands of Indian and imported liquor along with cocktails, mocktails and several other non alcoholic drinks.